Pilgrim – Luxury-focused. Estate-driven. World-renowned. 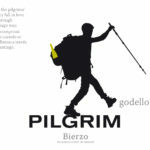 Pilgrim wines is a project of Godelia, and were born as a tribute to all the pilgrims who trek El Camino (The Way) and visit the Bierzo region. El Camino way passes by the Pilgrim vineyard and it is thought that the way the wines are now made is due to the pilgrims having brought the method from France in the past. We at Pilgrim believe that the pilgrims leave a little bit of their souls when they walk through the Mencia and Godello vineyards. It was once very common to offer hospitality to the visitors when they were travelling around El Bierzo, so now we at Pilgrim want to create this wine offered in the past to all the pilgrims on their way to Santiago. Our region of El Bierzo is important because it is the last stop before entering Galicia and the end of El Camino. We wanted to make simple and authentic wines with the grapes of the region; hence one of the wines is made from Godello, and two from Mencia. Please feel free to request additional marketing materials from agabriel@europvinusa.com. Does Red Wine Help You Live Longer? Here’s What the Science Says.